I love decorating for Fall. I don’t know why. It’s just fun. Pumpkins, colored leaves, orange and red and yellow. 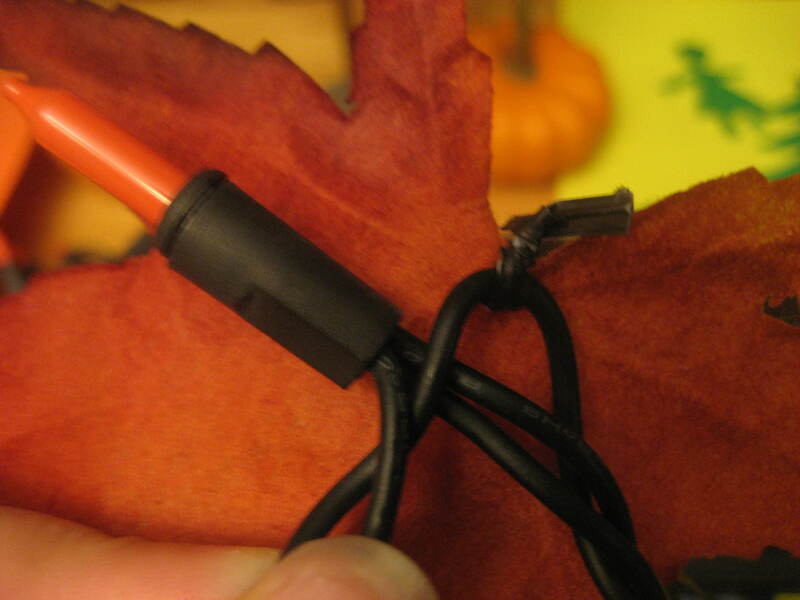 Here’s how we made our own leafy twinkle lights with clearance fall and Halloween items. First, watch for a set of orange Christmas lights on clearance after Haloween. Then buy a set of paper leaves. Grab a set of all those twisty ties that are hiding in your kitchen drawer that you never use on your trash bags and color them black with a magic marker (see photo above). 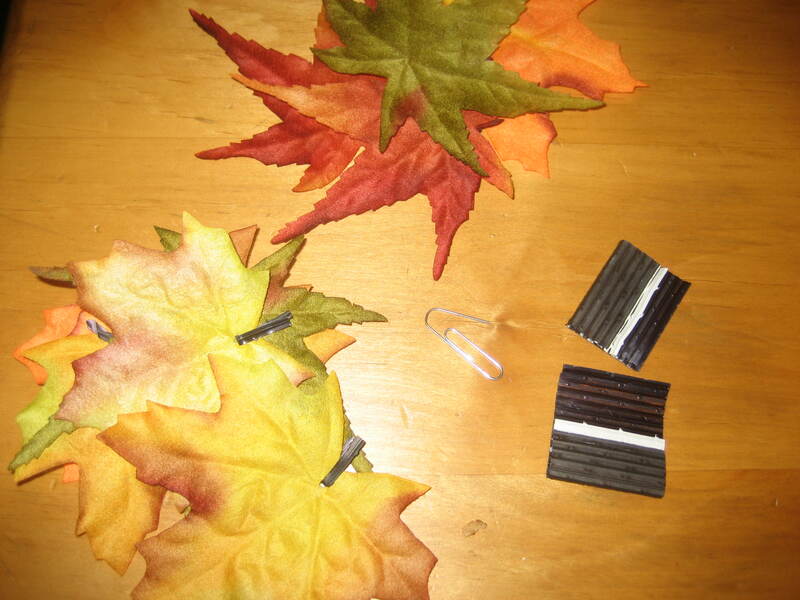 Poke a black twisty tie through the base of each paper leaf. 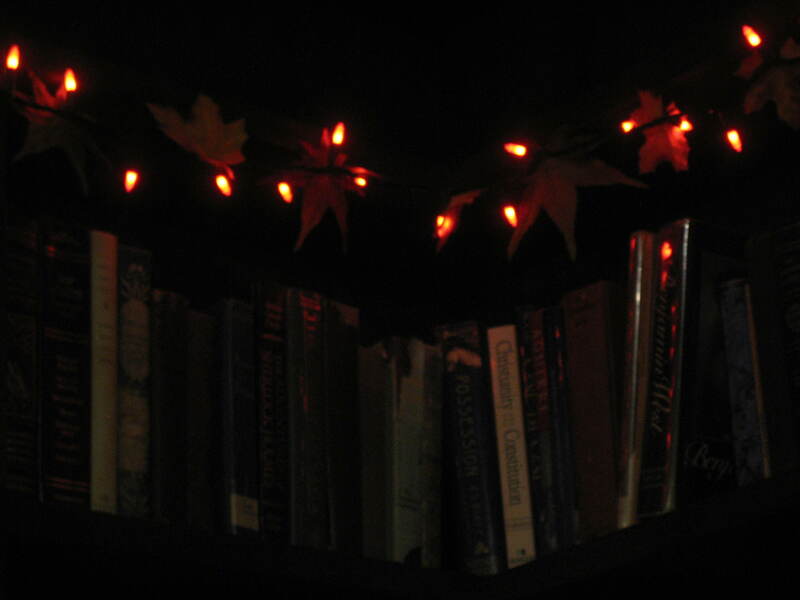 Then twist them around your orange Christmas light strand in even increments (photo above). Hang it up and you have your own custom Leafy Twinkle Lights. A nice addition to your fall decor. The kids might enjoy helping you make it too.